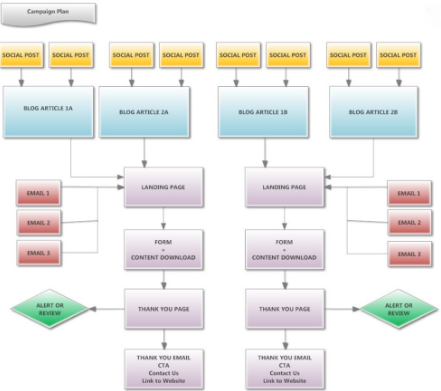 Are you spending all of your time planning and sending weekly campaigns? Or is your nurturing overly simplistic? Are you losing good leads to competitors because you are sending the wrong message? Are you under or over-communicating? The “Right message at the Right Time” is still Marketing’s motto! You need a nurture foundation. What is the Nurture Foundation? The 4Thought Marketing Nurture Foundation systematically moves leads from one nurture to the next based on their digital behavior, ensuring they get the right message at the right time. Ultimately this increases conversion rates and time to conversion. A key feature of the Nurture Foundation is the Content map and workbook. 4Thought uses your existing content to map to the right buying stage and creates a brief using the key messaging and objective of each email that links back to the mapped content. This brief becomes a handy tool that can be handed off to a writer. Let 4Thought Marketing help you discover the benefits of a fined tuned nurture program. We will save you time and resources while giving you the peace of mind in knowing that your programs will be optimized for the best results possible. If you want to start building out your nurture strategy but either don’t have enough content, or just want help building out your first solid nurture track, our 4Touch Nurture Track might be a better option for you. With the 4Touch track, we will help you strategize and build a foundational nurture with journey-like messaging and a goal of progressing to the next stage. You will get the same services as the Nurture Foundation except that the scale is reduced to one track and there will be no foundational diagram draw. This 4Touch Nurture Track gets you on your way, and we are here to help if you decide to you want to expand your nurture program at any time.